I’m two months behind Luke, but I just had my 500th different kind of beer. 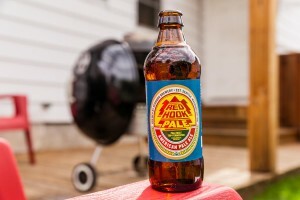 Oddly enough, it was a bottled beer from Red Hook. Living just a couple miles from the brewery, I regularly have bottles of their beers and I’ve been through most of the stuff they have on tap too. But I was at Tim’s house and had their American Pale Ale for the first time. It was launched last summer. I still enjoy trying new beers, but I think the next 500 will take longer, not because of a shortage of new beers, but because I want to enjoy some of the best ones that I’ve found along the way to 500. And if you like trying new beers too, feel free to send me a friend request on untappd.